You want to live in Bloomington, Indiana and near the Indiana University campus? We have the perfect rental houses for you! We have a large number of houses for rent in Bloomington. 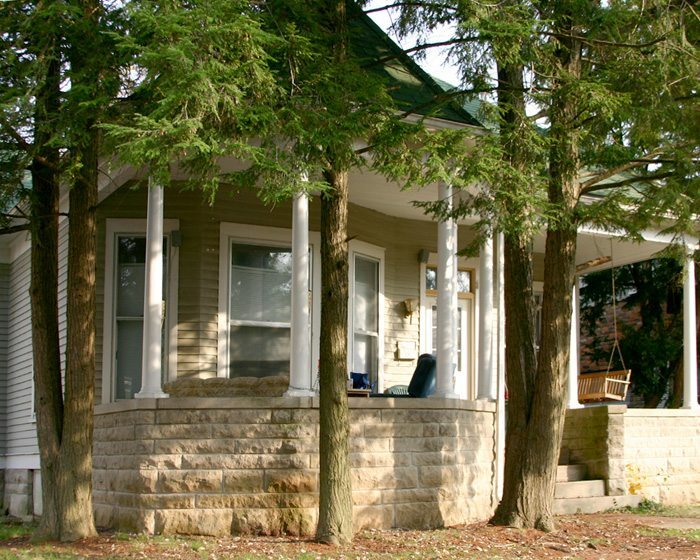 Many of our rental houses are near the Indiana University Campus. We have 5 bedroom rental homes, 4 bedroom rental houses, and 3 bedroom houses for rent. Have a big group? We have big rental houses in Bloomington! And we even have several houses for rent near the IU campus that are right next door to each other so you and your friends can be close! No matter how large a group you have, we have houses for rent that will fit your needs! 3 people? 5 people? 50?! We can work with you to find the perfect rental house for you and all your friends or family. If you want to live in a rental house, whether with us or in another house for rent in Bloomington, our first suggestion is to start looking early. The prime rental houses go pretty quickly. 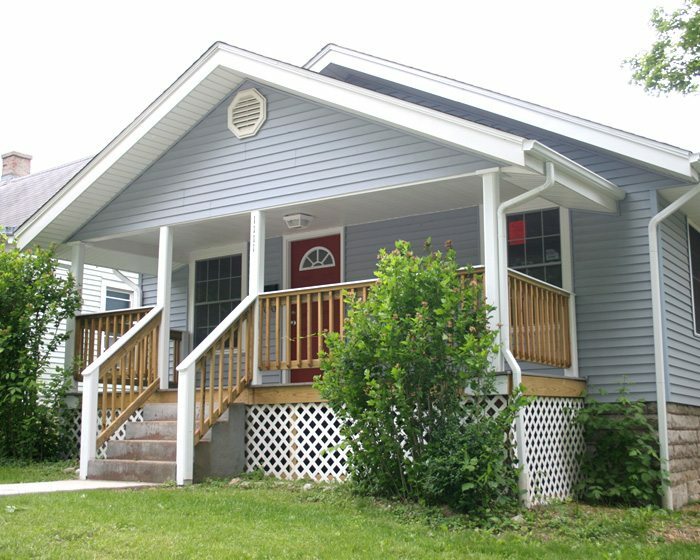 Often our rental houses that are near to the Indiana University campus will lease more than a year in advance. The same is true for our houses for rent that have big yards or other special features. When thinking about how to get a house for rent in Bloomington, you should also remember that our tenants, especially students, tend to move into a rental house and stay there for multiple years. Sometimes passing it on to younger friends or even siblings! As a result, our supply of rental homes can sometimes be short for any particular year and you may want to check out several of our great houses and get one locked in for the next year. Why live in a house? A rental house in Bloomington is great. And Elkins Apartments has the absolute best selection of houses for rent in Bloomington and near IU! Renting a house is a totally different living experience from living in a dorm, an apartment, or a townhome. Your house is your pad, a place you call your very own home. You have control of the place. You don’t share your rental house with other people, except of course your roommates! Living in a house for rent in Bloomington means you don’t have shared hallways where people you don’t know may puke or, er, relieve themselves in. You don’t, usually, have walls you share with other people–people who may annoy you with noise or parties, or be annoyed by you! There are no late night fire alarm pranks in a rental home. There usually are no late night door pounding incidents when you live in your own rental house. Our rental houses are unique. Each house we rent in Bloomington, Indiana is different. They are not cookie cutter apartments. You can dress up your Bloomington rental house however you want–within reason of course, no renovations please! A house can be decorated to match your style from doorstep to bedroom. In the end, choosing to live in a house for rent in Bloomington is a personal decision. Do you like the vibe of a house more than an apartment? Does the extra freedom and privacy (and responsibility) of a house for rent make sense to you? Or do you prefer the convenience and social nature of living in a larger apartment community or perhaps blending some of the benefits of living in a rental house with those of apartments by living in townhomes? We have some of those as well. What should you know if you plan to live in a house for rent in Bloomington? Living in a Bloomington rental house is very cool. And there are some key things you will have to do that may be a little different than if you were living in a dorm or in an apartment complex. For example, with a house, you are like any other homeowner…. trash? snow removal? usually, but not always, you get to handle those! In general, living in a house for rent in Bloomington is like any other rental. It involves you finding the perfect house for rent in Bloomington, actually renting the house (i.e. signing the lease), getting ready to move into the rental house, actually moving into the house, living in one of our rental homes, and moving out at the end of your lease. We’ve put together some advice and resources that we hope will help you with your house for rent in Bloomington, whether you stay with us, or lease with someone else. Because we think living in a rental house rocks, and we want you to have the best experience possible. Check out a complete listing of all our houses for rent in Bloomington, then let us know how we can help! Whatever your needs, how can we help you?